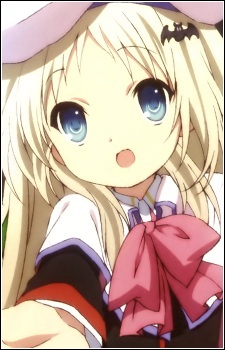 Height: 145 cm Weight: 37 kg BWH: 69-51-72 Birthday: 12 June Kudryavka, also known as "Kud" for short, is a girl who is a quarter Japanese, and three-quarters Russian. Her grandfather was Japanese, and per his influence on her, she came to know much about the Japanese culture, including the language. She is very bad in English, though. She is Riki's classmate and is in the home economics club. Kudryavka has a pet Siberian Husky named Strelka. The hat and cloak that she wears were handmade. She spent most of her childhood traveling around the world, and her home country is a small, southern nation closer to the equator; this is the reason for her hat and cloak—she finds Japan cold due to her country's climate. Her favorite phrase is "wafū!" In the real world, Kud chose not to return to her home country. Her mother was captured and tortured because of the rocket incident; however this didn't happen in reality, but through Kud's imagination, to punish herself for not being there.